Parking lot striping is one of those things you never think about until you pull into a lot and try to find a place to park your vehicle. If the lines are clearly visible you never think twice about it, but if the lines are faded or completely gone, you take note that parking is difficult, and you hope no one crashes into your car while you are inside the business. Every business owner knows that creating a positive first impression is super important to retaining customers, and that first impression starts in your parking lot. Impress your customers by providing a safe, clean, and compliant parking area. We have been striping parking lots in the Dallas / Fort Worth metroplex for over 20 years, providing the cleanest lines, and best pavement marking services in the area. Our expertise and professionalism is next to none, and we take our job seriously. Once you have put your trust in our services we will strive to become your lifetime partner for all pavement services. No matter if it is parking lot striping, power washing, sand blasting, we will make sure you are satisfied with our work every time. We are experienced professionals, we ensure that pavement both (asphalt or concrete) markings are accurately placed, lines will be straight, color and width will stay consistent. We also work directly with building owners, and property managers to ensure we meet deadlines and deliver results. We work with you so that parking lot striping does not interfere with your normal business operation hours. No job is too large or too small. 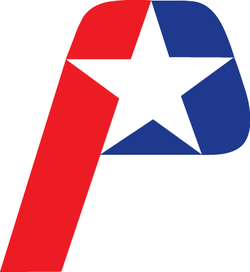 We have the most competitive prices in the Plano, TX area. It has always been our commitment to provide the best rates in the entire metroplex, and we would be glad to bid on your striping project. We know that you will find our prices extremely competitive and the best in the region. Once we are asked to bid your job, we show up promptly, and provide you with a FREE quote. We take our job very seriously. 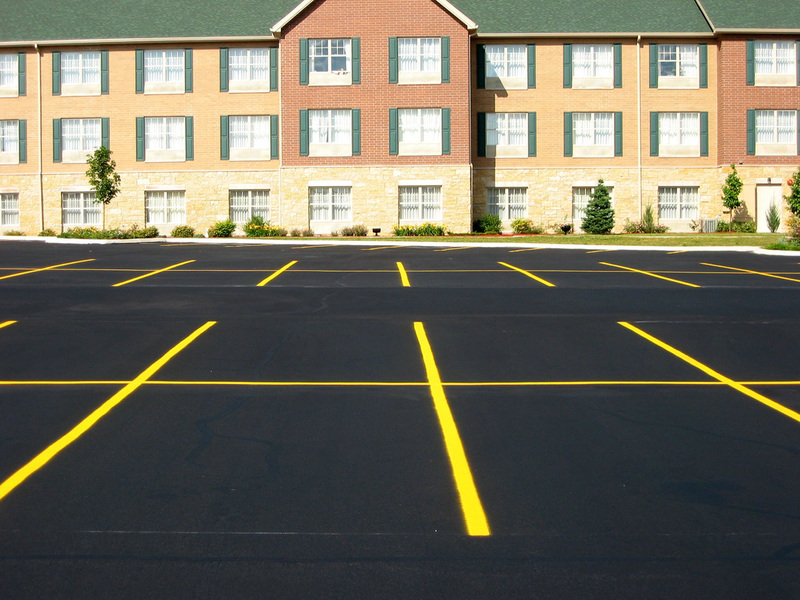 Striping your parking lot takes a professional touch to make sure the markings are completely straight and up to code. All handicap markings will meet the American Disabilities Act (ADA) requirements. Fire Lane markings will meet your specific city's codes, no matter which city your business resides in across the Dallas / Fort Worth Metroplex and all of North Texas, we make sure you are compliant. In 1990, the American Disabilities Act (ADA) went into effect requiring every business to have a mandatory amount of Handicap accessible parking stalls available to visitors based on the number of parking stalls per 1,000 sq. ft of utilized parking space. Depending on the size of your parking lot, you may also have a Handicap Van-accessible parking requirement as well. All mandatory handicap stalls and walkways have a minimum measurement requirement which must be met. Our professional stripers will make sure you are meeting all required codes. Wheel Stops are typically installed to prevent vehicles from causing damage to buildings, walls, and other vehicles, or to keep them off of sidewalks and walkways. Installing wheel stops are an inexpensive alternative to installing curbs around the property. Speed bums are a great way to control speed and improve the safety of a parking lot. Keeping a high visibility presence of the speed bumps is a visual indication to drivers to keep their speed down, and also prevent damage to your visitors vehicles. Keeping your speed bumps properly maintained and highly visible is a must. Lets face it, parking areas get dirty just like any other surface. As with any structure, proper maintenance will prolong the life of your parking area of your property. Pressure washing and sandblasting will remove grime, oils, stains, chewing gum, and paint from the pavement and leave your surface looking much nicer than before. Again leaving a long lasting first impression with your clients will keep them coming back. If you have fallen victim of graffiti give us a call. We are experts at graffiti removal and get your property looking back to normal in no time. We also power wash, homes, desk, patios, driveways, awnings, pool areas and much more. Keeping a proper level of maintenance on your property will make your property last so much longer than normal.